The annual letter is a must-read for long-term investors. 9 learning points are discussed. Many lessons are underrated but valuable. 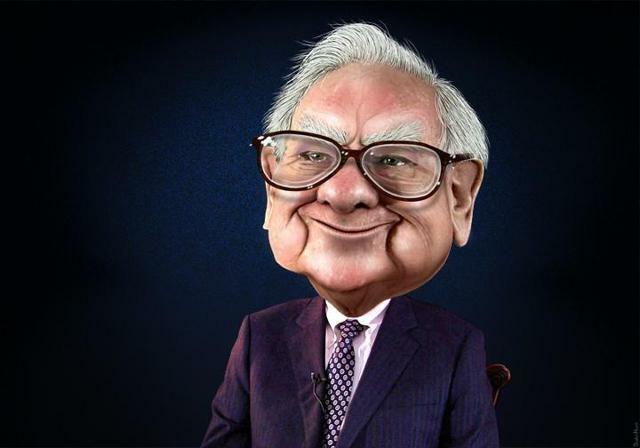 Warren Buffett's long-anticipated annual shareholder letter came out last month, offering precious wisdom on investing, finance and business at large. In my view, the annual letter is a must-read for long-term investors, and Warren Buffett has been the one among others who shape my long-standing investment strategies of buying great businesses at fair prices, being patient and acting less. This year's letter is no exception to being outspoken, enlightening and insightful. Below is my key learning from the letter, where, like last year, I try to derive those most underrated lessons. A new GAAP rule requires us to include that last item in earnings. As I emphasized in the 2017 annual report, neither Berkshire’s Vice Chairman, Charlie Munger, nor I believe that rule to be sensible. Rather, both of us have consistently thought that at Berkshire this mark-to-market change would produce what I described as “wild and capricious swings in our bottom line. Our advice? Focus on operating earnings, paying little attention to gains or losses of any variety. My saying that in no way diminishes the importance of our investments to Berkshire. Over time, Charlie and I expect them to deliver substantial gains, albeit with highly irregular timing. Undeniably, one set of accounting numbers does not work well in telling the truth of businesses of all types, let alone the unique business model at Berkshire Hathaway (BRK.A, BRK.B). This reminds investors of the necessity of adapting analyses to specific stocks and/or situations. For instance, many global companies, such as Waters (WAT), Amgen (AMGN), reported sharp drops in net income for 2017 due to the impact of Tax Reform, while investors should really focus on the EBT (earnings before tax) numbers and its margin to gauge the business growth (pre-tax earnings actually improved at both WAT and AMGN that year). Additionally, consumer-facing brick-and-mortar businesses, like Starbucks (SBUX) and Ross Stores (ROST), demonstrate their growth capabilities through so-called same-store sales or comparables. However, same-store sales are not that comparable, as the definition only excludes stores opened within a year, while many stores even after the first year still enjoy abnormally fast growth. This distortion would lift the comp store sales number, especially when companies have opened a large number of new stores in recent years - remember that Starbucks was opening one store every 15 hours in China and that Ross Stores plans to open 100 new locations in the US this year? Better watch out and dig deeper into their growth figures later. When we say “earned,” moreover, we are describing what remains after all income taxes, interest payments, managerial compensation (whether cash or stock-based), restructuring expenses, depreciation, amortization and home-office overhead. 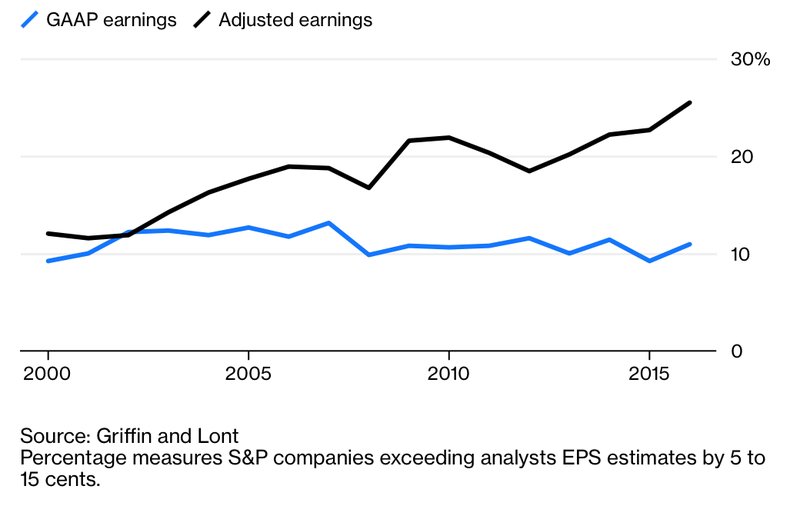 That brand of earnings is a far cry from that frequently touted by Wall Street bankers and corporate CEOs. Too often, their presentations feature “adjusted EBITDA,” a measure that redefines “earnings” to exclude a variety of all-too-real costs. Wall Street fellows find every way to sell, sometimes with the help of many "innovated" terms (e.g., EV/EBITDA, non-GAAP EPS) to embellish the valuations. EBITDA (earnings before interest, taxes, depreciation, and amortization) and "adjusted" net income do a very poor job in uncovering management's improper strategies or capital allocations, such as M&A that destroys value, but a pretty decent job in covering many essential costs that shareholders have to bear, such as employee stock options. 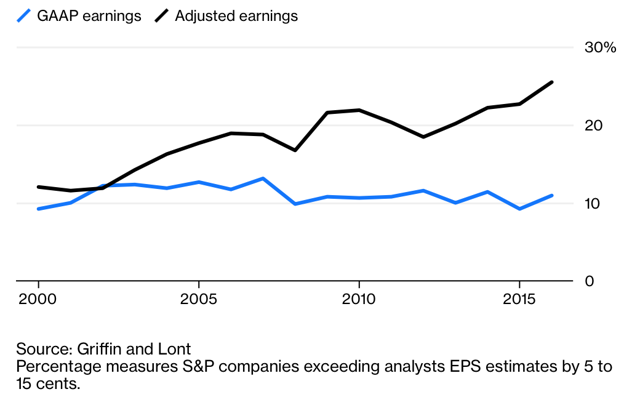 The trend of over-emphasizing adjusted earnings may unfortunately continue - demonstrated in the chart below, the percentage of S&P 500 companies beating analysts' estimates on an adjusted basis is growing, giving CEOs the incentives to promote non-GAAP numbers. Net income/margin: evaluation of how the business is managed overall, including leverage, investment and taxation (only occasionally net margin is adjusted - for example, the adoption of pre-tax profit margin in light of the Tax Reform). In addition, the model heavily analyzes the cash flows (e.g., free cash flow) of the business, which would be harder to be manipulated. GAAP - which dictates the earnings we report - does not allow us to include the retained earnings of investees in our financial accounts. But those earnings are of enormous value to us: Over the years, earnings retained by our investees (viewed as a group) have eventually delivered capital gains to Berkshire that totaled more than one dollar for each dollar these companies reinvested for us. This not only echoes the imperfection of accounting system discussed earlier, but also implies what defines a wonderful business and matters most to long-term investing. 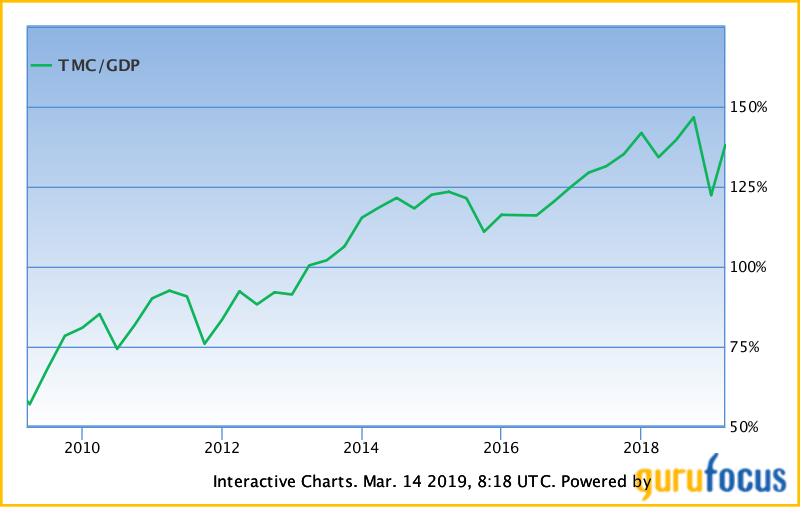 Opportunities and abilities to reinvest retained earnings at high rates are often neglected and rarely mentioned among investors, as media, Wall Street and company management just put more emphasis on near-term earnings and growth. Although seldom cited by professionals, returns on reinvested/retained earnings can be easily calculated (as is done by my factor-based model) for investors to uncover managements' capital allocation skills in the past. To predict the future opportunities of reinvestment at high rates is way more complicated and sometimes a matter of art, in my view: investors would need a more comprehensive understanding regarding durable competitive advantage, industry dynamic, competitive landscape, market positioning and corporate strategy around the business in order to make a bet (hopefully with some margin of safety). Many readers may remember the article "The Warren Buffett Indicator Is Now Telling You Not To Bet On America," which was written when the Indicator (i.e., Market Cap-to-GDP ratio) stood at near 150%. More than a year passed, today the ratio is 138% according to GuruFocus (shown below), indicating still expensive overall equity prices. In my January Portfolio Review, I expressed the same concern regarding skyrocketing valuations that have been causing fewer and fewer opportunities to be left on the table for buy-and-hold, quality-focused investors. Value is what you get, price is what you pay. Any stock buyer with a long-term time horizon (like me) should pray for more volatilities to come at this stage. Admittedly, it would be tempting for investors to sell the winners too soon (and to sometimes keep the losers for too long), which is often referred to as Disposition Bias, closely associated with Loss/Regret Aversion Bias. In the financial world, there are so many phenomena like this showing that investors are just their own worst enemies. After dealing with many businesses through different roles over the years, I would advise that strategies of turnarounds are frequently overestimated in terms of viability and that momentums of improving business fundamentals would most probably keep going longer than investors normally think. In the business world, it is not uncommon that winners just keep winning before the force of mean reversion finally takes place. Hence, cut your losses and let your profits run. True, the upside from repurchases is very slight for those who are leaving. That’s because careful buying by us will minimize any impact on Berkshire’s stock price. Nevertheless, there is some benefit to sellers in having an extra buyer in the market. For continuing shareholders, the advantage is obvious: If the market prices a departing partner’s interest at, say, 90¢ on the dollar, continuing shareholders reap an increase in per-share intrinsic value with every repurchase by the company. Obviously, repurchases should be price-sensitive: Blindly buying an overpriced stock is value- destructive, a fact lost on many promotional or ever-optimistic CEOs. Warren Buffett once again touched upon the matter of managers' capital allocation skill. Executives are responsible for choosing among internal projects, M&A, reduction of debts, dividend payout and share repurchase to deploy retained capitals. Today, the cheers for share repurchases are obviously overdone, while the scrutiny of the prices at which shares are bought back is in shortage among investors. The factors of return on reinvested capital in my stock ranking model evaluate managers' capital allocation decisions over 5- and 10-year time frames. Generally, I favor a return of at least 20% in that respect. Over the years, Charlie and I have seen all sorts of bad corporate behavior, both accounting and operational, induced by the desire of management to meet Wall Street expectations. What starts as an “innocent” fudge in order to not disappoint “the Street” - say, trade-loading at quarter-end, turning a blind eye to rising insurance losses, or drawing down a “cookie-jar” reserve - can become the first step toward full-fledged fraud. Playing with the numbers “just this once” may well be the CEO’s intent; it’s seldom the end result. And if it’s okay for the boss to cheat a little, it’s easy for subordinates to rationalize similar behavior. Warren Buffett, among others, has been the outspoken criticizer of quarterly, asserting that it encouraged short-term thinking about corporate executives. The mindset of meeting the Street estimates of the upcoming quarters plays a similar role here, preventing long-term effective strategic planning that would create shareholder value. Interestingly, the friendly acquisition strategy at Berkshire Hathaway is exactly designed to solve this issue by taking good companies private and retaining able management teams so as to make business visions for the long run. Let’s put numbers to that claim: If my $114.75 had been invested in a no-fee S&P 500 index fund, and all dividends had been reinvested, my stake would have grown to be worth (pre-taxes) $606,811 on January 31, 2019 (the latest data available before the printing of this letter). That is a gain of 5,288 for 1. Meanwhile, a $1 million investment by a tax-free institution of that time – say, a pension fund or college endowment – would have grown to about $5.3 billion. Let me add one additional calculation that I believe will shock you: If that hypothetical institution had paid only 1% of assets annually to various “helpers,” such as investment managers and consultants, its gain would have been cut in half, to $2.65 billion. That’s what happens over 77 years when the 11.8% annual return actually achieved by the S&P 500 is recalculated at a 10.8% rate. Many investors like Berkshire stock, as it acts like a "no-fee" mutual/hedge fund. In the long term, fees often kill investors' performances more than they think. In my recent article, "Here Is Why And How Every Individual Investor Has A Chance Of Beating Wall Street," I cited fees as the most prominent factor causing fund managers, while harvesting in their own pockets, to deliver poor results to their clients. The solution? Buy low-cost index funds over time (or even "zero-cost" ones these days - check the Fidelity ZERO Total Market Index Fund (FZROX) and the Fidelity ZERO International Index Fund (FZILX)). Especially for those who do not bother actively managing their money, this strategy should work out just well by beating the majority of the professionals on the Street. Those who regularly preach doom because of government budget deficits (as I regularly did myself for many years) might note that our country’s national debt has increased roughly 400-fold during the last of my 77-year periods. That’s 40,000%! Suppose you had foreseen this increase and panicked at the prospect of runaway deficits and a worthless currency. To “protect” yourself, you might have eschewed stocks and opted instead to buy 31⁄4 ounces of gold with your $114.75. And what would that supposed protection have delivered? You would now have an asset worth about $4,200, less than 1% of what would have been realized from a simple unmanaged investment in American business. The magical metal was no match for the American mettle. In my observation and experience over the years, macro-optimists with micro-cautiousness deliver better returns than pessimists in terms of stock investing. If you believe that the world is only going to advance from generation to generation, being a capitalist by owning good businesses (either wholly or partially) should be your best bet for your wealth. Otherwise, you would not really have the option to make any difference, since, after all, any financial wealth in your account probably means nothing in a really doomed world. So why not just bet on the bright side? I always enjoy reading Warren Buffett's annual letter and listening to his (and Charlie Munger's) Q&A at the annual meeting. Quite often, many lessons from him are underrated but valuable. The Oracle of Omaha shows us his great leadership and entrepreneurial spirit. With financial skills being the hot subject among our young generation nowadays, these two elements are, in my view, the key to really differentiate great financier from average Joes. Disclosure: I am/we are long ROST, BRK.B, AMGN, WAT. I wrote this article myself, and it expresses my own opinions. I am not receiving compensation for it (other than from Seeking Alpha). I have no business relationship with any company whose stock is mentioned in this article.